How does modern warfare work? How do you distinguish between the rational and the emotional? Former U.S. Secretary of Defense Robert S. McNamara (1916-2009) was the architect of the Vietnam War, and there are many who hold him responsible for this catastrophic conflict. In his book In Retrospect: The Tragedy and Lessons of Vietnam, McNamara offers 11 lessons that form the framework for a conversation in which he speaks candidly about his experiences as a student, the director of Ford Motor Company and a statesman. His deep interest in logic and aesthetics was already flourishing in his college days, but he is also remembered as a sophisticated politician with a penchant for statistics. 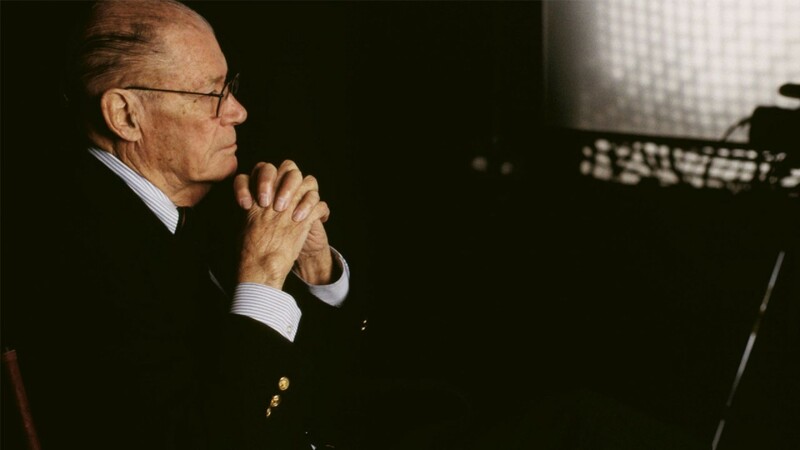 The interview with McNamara himself is interspersed with archive footage and audio recordings of conversations with John F. Kennedy and Lyndon B. Johnson. This Oscar-winning documentary offers an engrossing perspective on the dark machinations of 1960s American politics. McNamara places great emphasis on the importance of perception. How many soldiers should be allowed to die in the battle for a secure world? How can war be prevented? How do you define war crimes? He believed that a good leader should see war as a machine, one from which all emotion has been eradicated. Only in this way is it possible to avoid making major errors of judgement in the heat of battle. Posted on April 23, 2019 April 2, 2019 by membership	Bookmark the permalink.